Welcome to the webpage of nuclear revelations of Alireza Jafarzadeh. Please visit the site regularly as this site is gradually updated to include the nuclear revelations of Alireza Jafarzadeh. Alireza Jafarzadeh is a FOX News Channel Foreign Affairs Analyst. Jafarzadeh has uncovered Iran's nuclear weapons program particularly since 2002. 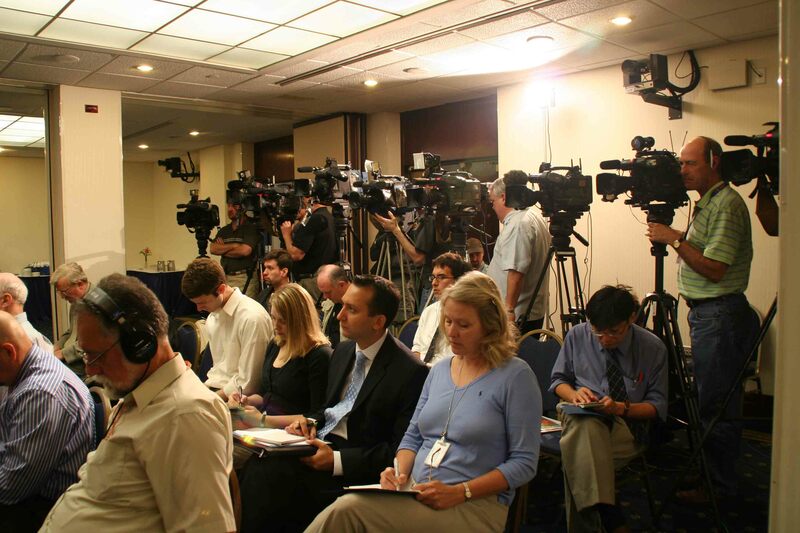 On August 14, 2002, Alireza Jafarzadeh, in a press conference in Washington, DC, shocked the world by revealing the Natanz nuclear site, which was kept secret by the Iranian regime until then. 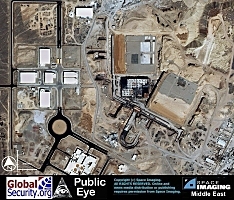 This is where Iran had hidden perhaps the most important part of its nuclear weapons program. A uranium enrichment facility, Natanz has become the focal point of the negotiations between the European Union three, and Iran about Iran's nuclear program. In addition to Natanz, Jafarzadeh revealed yet another key nuclear site, the heavy water facility in Arak, which is intended to provide the Iranian regime with a parallel way to get fissile material for the nuclear bomb. Jafarzadeh has discussed the details of Iran's nulcear weapons program as well as the most recent developments on the threat that the Iranian regime is posing to the world peace in his book, The Iran Threat: President Ahmadinejad and the Coming Nuclear Crisis (Palgrave Macmillan : January 2007). The Iran Threat has already won the praise of nuclear experts, academics, members of the United States Congress, European Members of Parliament, human rights figures, as well as well-known television anchors. Publishers Weekly reviewed the book, calling The Iran Threat "highly detailed and compelling." By relying on the network inside the country of Iran's parliament-in-exile, the National Council of Resistance of Iran, Jafarzadeh managed to provide key nuclear revelations that eventually focused the world attention on Iran's nuclear threat.